Edify: To build up – strengthen – establish. I don’t know about you – but this is NOT a word I use most days. Or any day. Sometimes I read it in a Biblical context, but I don’t think I’ve ever used it when describing my relationship with my spouse. I’m convinced it’s a valuable word. Here is the word used in the New King James Version where Paul is writing to the Thessalonians. I kept going back and forth to all the different translations (using BibleGateway) to see how this verse would read. Wouldn’t it be great if we could do this for our wife or husband? 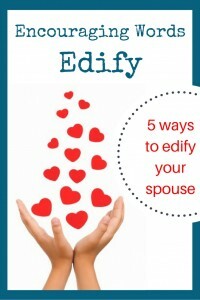 How can you edify your spouse? Talk about the future in a positive way. 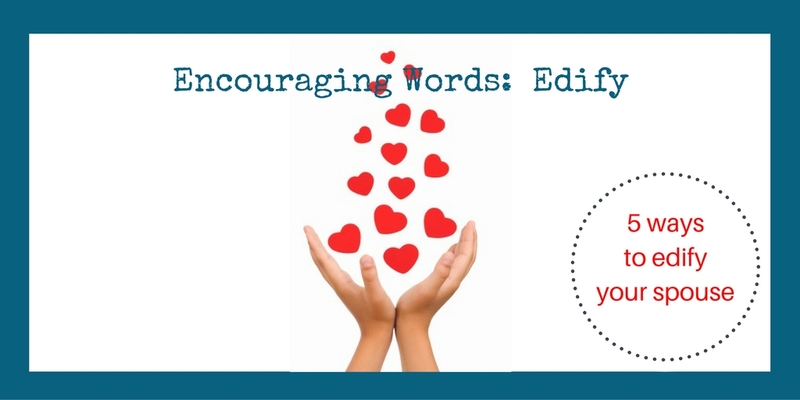 Encourage! Trust God. And live that way. It’s not enough to talk about having faith. Adopt the Nike motto: Just do it. Strengthen your spouse with the way you live your faith – the way you immerse yourself in God’s Word – the way you’re consistent in seeking fellowship with other Christ followers. Ponder Acts 2:42 – and behave that way. Then invite your spouse to join you. 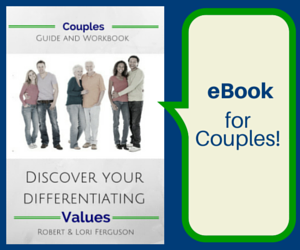 Love your spouse – even when you don’t feel like it. Feelings are fleeting, they come and they go. Decide to love your spouse and act in a way that shows love. Start with kindness and work forward. Tell your spouse, “I love you.” and then list the ways. Review 1Corinthians 13 if you need context. Feelings are fleeting. Act with love even when you don’t feel like it. Ask God to bless your spouse. 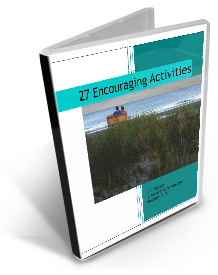 Work through a 31-day challenge to pray for your spouse in specific ways, a different way each day. Be creative. Pray differently – try a journal, or meeting with a group of like-minded believers to pray for your spouses. Ask. Seek. Knock. (Matthew 7:7,8) Pray without ceasing. (1Thessalonians 5:17) Invite your spouse to pray with you – let him or her hear you pray in specific, concrete ways for her/him – not just once, but continually. Pray for your spouse. Make it a priority. Add your strength in a practical way. 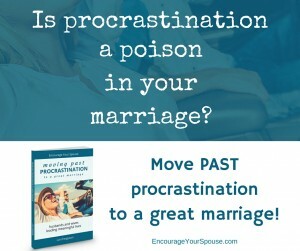 When was the last time you did something for your spouse? A cup of tea (or sweet-tea if you live in the South) at an opportune moment can make a difference. (or a favorite anything) Your willing attitude can create a dent in the impossible. Sometimes words are cheap, and taking action turns the tide. (Proverbs 3:27) If there’s something that is in your power to do – just do it! E – Encourage: Be kind and gentle. D – Delight: Delight in one another. I – Involve: Active listening & talking. F – Fulfill: Help each other to reach the greatest potential. Y – Yield: Live in a yielded, forgiving state. How will you edify your spouse this week? 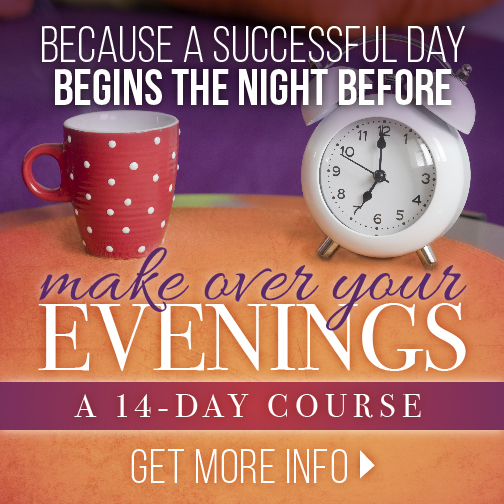 Linking up with The Alabaster Jar Marital Oneness Monday! 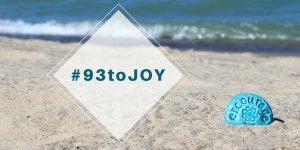 93 ways to add joy to your life. These thoughtful definitions are great, and they “encourage” us to build up our marriages in a positive and Godly way. Thanks for the post!